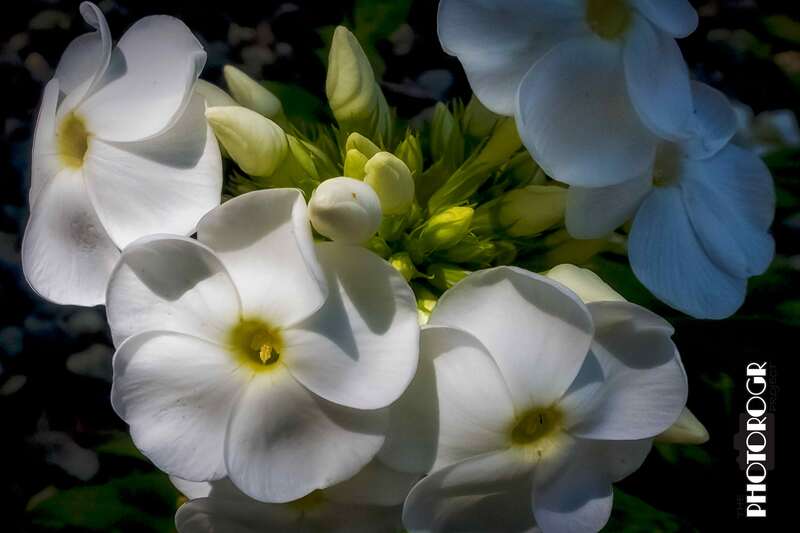 Today’s PS Challenge image is a close up of some Phlox blooms, from our back yard. I bracketed exposures but only used the under and normal exposures. I merged them in Adobe Camera Raw, cropped in PhotoShop, applied a Nik filter, and finished the image with a little more sharpening in PhotoShop. Please note, this is natural lighting – no flash used.